Potentially mere days before we see the launch of the Sony Xperia XZ3 smartphone at IFA 2019, a mouth-watering concept video depicting Sony's much-hyped Xperia folding phone shows off exactly why it could be one of the top 5 foldable phones to look forward to in 2019. The video also reveals how the folding Xperia could be a major threat to Samsung's Galaxy X folding phone. 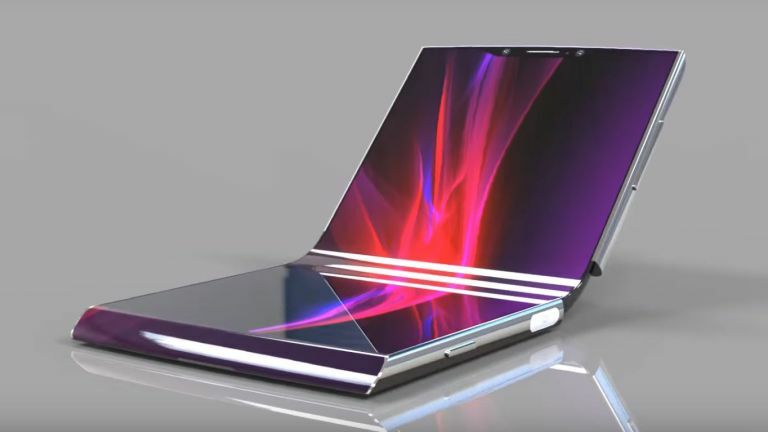 The tantalising Xperia folding phone video was created by mobile industry designer TechConfigurations, and reveals a device that seems largely in-keeping with leaks and reports so far on Sony's foldable new phone. The folding Xperia here comes loaded with a 13MP front camera with 3D face recognition technology, a dual rear camera array (19MP + 12MP), an in-display fingerprint reader, a foldable design with flexible polymer joint, a dual-edge display that, once folded out, delivers a 6.2-inch 4K OLED screen, a Qualcomm Snapdragon 855 CPU, 8GB of RAM, and three storage configurations (128, 256, and 512GB). While this video is unofficial, it's well known that Sony is currently hard at work actioning a fightback plan designed to see the Japanese company compete once again with the world's biggest phone makers, Samsung, Apple and Huawei. Considering the two hot, next-gen pieces of tech that are on mobile phone enthusiast's lips right now is 5G and folding smartphones, a folding 5G Sony Xperia would certainly turn heads. Here's hoping we hear something more about Sony's future Xperia range soon.